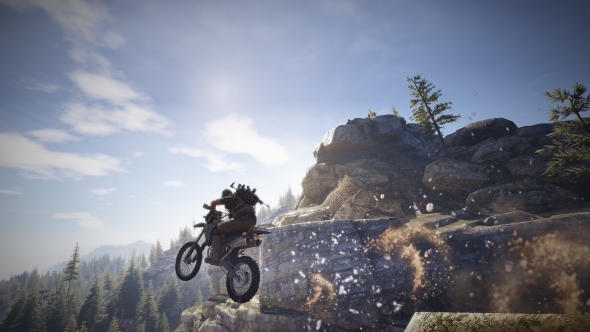 Does the ‘co-op rule’ make Ghost Recon Wildlands a better game? The saying goes: “Everything’s better in co-op”, and I’m inclined to agree. 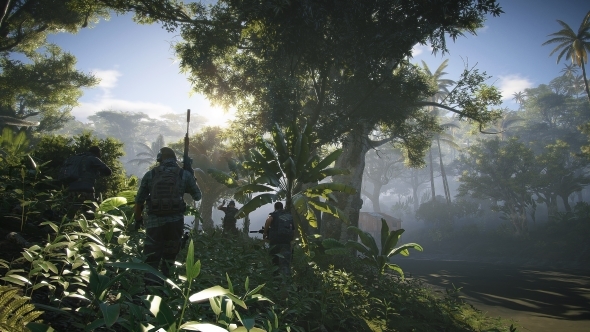 The increased value varies from game to game, however, so I was interested to see how Ghost Recon Wildlands fared in a cooperative environment. Our previous tests had concluded that it’s not a very good game, so would the injection of ‘bantz’ and ‘coordinated murder’ elevate it to being acceptable? 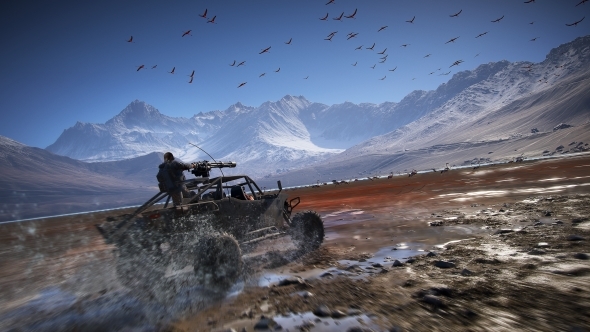 Or, with a dose of cautious optimism, could Wildlands actually be… good? I spent a weekend in digital Bolivia to find out. Embark on a great multiplayer adventure with the best co-op PC games. Joining me on my expedition was PCGamesN writer and all-round good lad Jeremy Peel, and [NAME REDACTED], a traitorous man who used to write for us. I’ll refer to him as ‘PJ’, partially because [NAME REDACTED] doesn’t flow well, but mostly as an inexplicable excuse to pay tribute to a character from rubbish 1990s British high school drama Byker Grove. As a trio of Tom Clancy fans we’re frequent visitors to Rainbow Six Siege’s Terrorist Hunt mode, but recently have been craving something larger. Wildlands seemed the perfect fit, despite having the most divisive scores of any game in recent memory. We gave it a 4/10 here on PCGN. Chief among Wildland’s failings is its rubbish squad AI and flavourless, repetitive missions. It’s mostly collecting intel folders and shooting faceless cartel members in operations that have so little scripting that they lack any sense of drama. These issues melt away in co-op. Artificial intelligence is swapped out for actual intelligence, and the bite-size, simple mission structure is both easily worked through and jazzed up by the presence of people who can work with (or, in some cases, against) you. Very quickly I realised that Wildlands in co-op is basically Top Gear: The Bolivia Special. This is only heightened by the fact that my PCGN colleagues have recently realised I sound a bit like James May. The Wildlands script (apparently written by *shock/horror* actual movie screenplay scribes) is also quite offensive, so it all adds up. But the feeling really comes across when each player, in their own vehicle, is tearing it through the Bolivian countryside. It’s exactly like a Top Gear challenge. Who can reach the objective faster? Matt in the off-road jeep, Jeremy sticking to the roads in his Lamborghini, or PJ in the helicopter? (PJ can’t figure out the rudder controls, by the way). The answer is: none of them. Not when someone-who-will-remain-nameless catches the attention of Unidad. They’re the private military contractors who serve as Wildlands’ version of GTA’s police, and not – as their name would suggest – a Facebook page providing memes for fathers. Armed to the teeth and riding around in the best cars in Bolivia, it was pretty easy for them to engage in a case after someone-who-will-remain-nameless ‘accidentally’ shot one of them in an unscheduled drive-by. A hail of bullets reduced our getaway vehicle to a smoking wreck, so we were forced to bail out and start running down the side of a steep mountain. “Give us back our memes!” Unidad didn’t shout at us as they continued their pursuit. The top of my screen blinked with a second purple chevron, indicating that more troops would be coming. And come they did, via a Blackhawk helicopter. You’ve seen Blackhawk Down, right? Using a grenade launcher I’d unlocked thanks to collecting icons from the absurdly-huge map, I fired an explosive round into the cockpit of the helicopter. It descended in a sheet of flame, narrowly missing all our heads and causing the voice-chat to erupt with startled cries. “TFW you’re about to be fired” Unidad didn’t scream as they roasted in the burning husk of the chopper. It felt like a job well done, but the fact that it wasn’t was soon to dawn upon us. Rather than stop Unidad in its tracks, this act of hardware vandalism simply skyrocketed their alertness and caused them to send every reinforcement they had. Sprinting further down the side of the mountain, we were tailed by why can only be described as the Flight of the Valkyries scene from Apocalypse Now. Without the aid of one of Wildlands’ infinitely stocked ammo dumps, I wasn’t going to be bringing them down any time soon. The chase ended with three corpses lying in a ditch at the bottom of a mountain, surrounded by ground troops and watched over by six circling helicopters. In most people’s books this would be a failure, but to me it was like the abrupt finale of a Coen brothers comedy. Running down that mountain, the voices on Skype becoming gradually louder and more amused, was the best multiplayer moment I’d had in years. I can’t understate the amount of GTA Online that runs in Wildlands’ DNA. It’s survives on the chaos makes Rockstar’s game so memorable and engaging. But where Grand Theft Auto’s multiplayer aspires to be more of a competitive environment – on the triangular knife edge of DayZ, Call of Duty, and Payday – Ghost Recon focuses on being the traditional open-world sandbox experience with co-op. GTA Online’s heists are fantastic, but they’re small components of an overall whole that’s designed to be PvP matches with a city-sized lobby, not the story mode with your mates. By offering campaign progression, no matter how poorly, Wildlands is fulfilling a fantasy I’ve held since the days of Vice City. 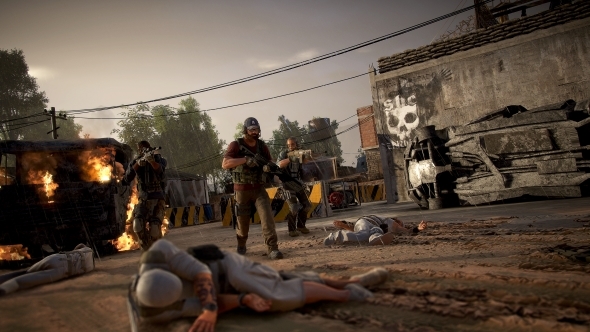 Amusing chaos is only good for so long, though, and so I’ve been really pleased to discover that Wildlands successfully supports more serious play, too. One mission tasked us with infiltrating a cartel factory to blow up all their cocaine. Upon approach Jeremy noticed that a colossal gas tank was positioned on the far side of the site. C4 carefully placed, we circled silently towards the cocaine warehouses while PJ set up in a sniper nest. One massive explosion later, and every soldier in the area was sprinting for the inferno. Meanwhile, Jeremy and I hopped the fence and began destroying massive bags of cocaine with no one to stop us. Tactical bliss. Of course, five minutes into the delicate operation and PJ came tearing up to the warehouse door in a knackered old SUV, screaming at us to get in because the “meme police” are coming. If you enjoy a gameplay loop that’s constantly cycling between methodic and madness, then Wildlands is what you need. I completely recognise Ghost Recons flaws, and there’s no questioning that it’s Ubisoft’s most disappointing game for some time. But ‘most disappointing’ doesn’t equal ‘bankrupt’. Wildlands is clearly a game that’s supposed to be played with friends, but you can’t put that restriction on it if you actually want to make sales. Should you play it that way, though, you may just find that a shaky Metacritic score becomes nothing but a faint memory for you and your Ghost pals.